This Girl Can: Running is an extension of Sport England's award-winning This Girl Can campaign, and focuses on motivating women to run in the winter. The campaign, which encourages girls to exercise, picked up the Glass Lion award at this year's Cannes International Festival of Creativity, for challenging gender bias. This Girl Can: Running is part of the continued PR activation around the ongoing campaign and features different case studies. The video, which went live this week to coincide with the clocks going back, features two runners from Wandsworth in London explaining how they keep motivated in the winter. The campaign encourages women to run with friends, join a running club or wear high visibility clothing so that they are not put off by running in the dark. The film has been put together by England Athletics with support from agency Mediablaze. 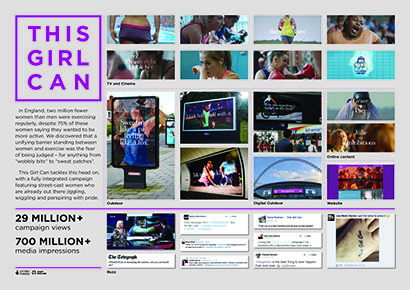 Blue Rubicon worked with Sport England on the original This Girl Can campaign.